The accuracy of the X-Y table travel is key to being able to machine accurately with the milling machine. Amadeal XJ-300 – often just called a mini mill. This milling machine is made in China (Real Bull Machine Tool Company realbull-machine.com) and then subsequently re-badged under a number of different names. This particular machine went through a number of changes/modifications and checks before I was fully happy with it. Plus it had a number of issues such as a gearbox failure that resulted in me changing the gears to metal and then finally designing and making a belt drive. The original spindle runs on ball bearings, swapping to tapered roller bearings improved the accuracy and also made for much smoother running. 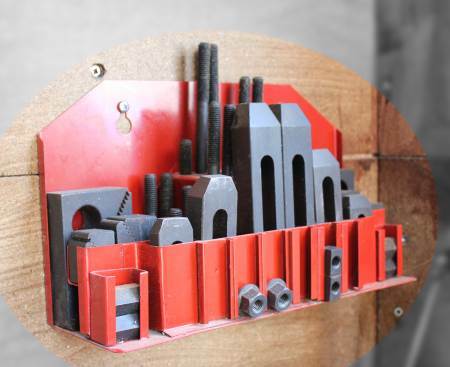 Clamping Kit – With any milling machine a set of clamps is a must first buy. My clamping set is screwed to the wall behind the milling machine. Keeps the workbench clear and easy to access. This is one of the generic cheap 52 piece sets from China. I′ve been using this set for around a year and very pleased. 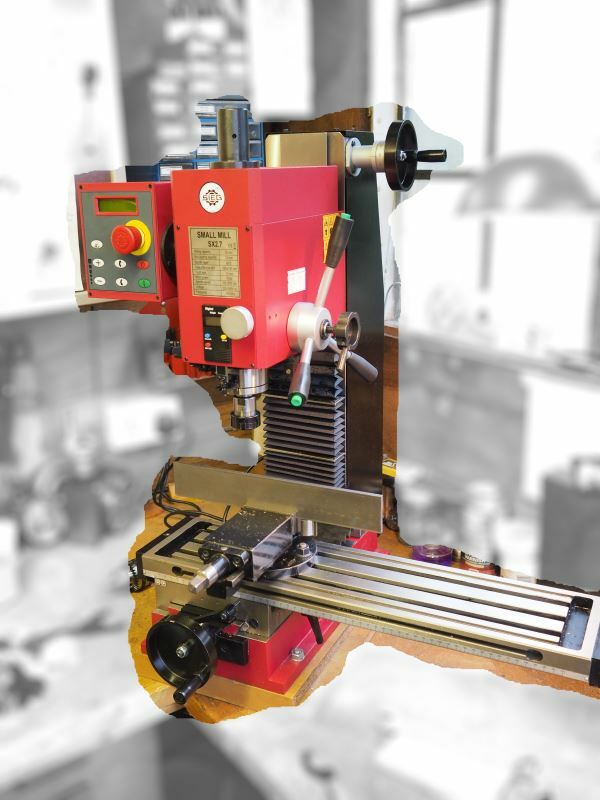 Collets – 3MT collets offer a low cost way of using collets in the milling machine, they also reduce the overhang of the tool from the head and so offer a much stiffer setup. However, the ER range of collets are more convenient and available in a larger range of sizes, I have a set of ER25 collets that I use across a number of machines and operations. Rotary Tables – I started working with a small rotary table, however, like the milling machine itself size matters. I now have a Warco HV4 rotary table and it works for most of the items I want to machine. 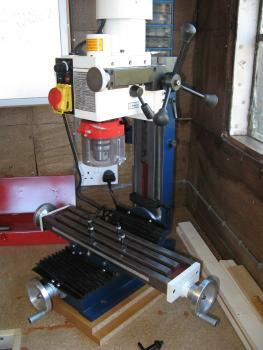 Sieg SX2.7 – this was my upgrade from the mini-mill, although you could call this a mini-mill anyway. The drive motor is more substantial, the column is fixed and the x, y and z-axis travel is properly metric pitch leadscrews. The stiffer the milling machine the lower any vibration whilst making cuts and hence the better the resultant machined finish. The higher stiffness also results in an ability to take bigger cuts. Workholding – when it comes to the milling machine we often have to be creative with how to hold or clamp something to the table.